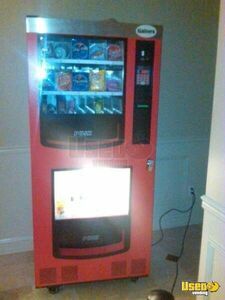 RS 800/850 Vending Machine Snack & Soda Vending Machine for Sale in New York! 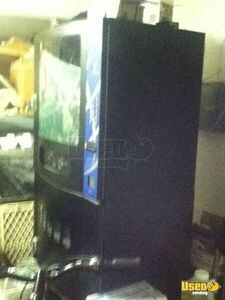 For sale in New York- RS 800/850 combo snack & soda vending machine. 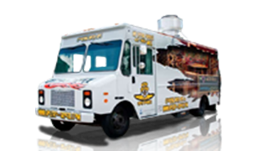 Accepts credit cards/apple pay/google. 100% working order. Tumbler locks replaced with clasps for easier access. 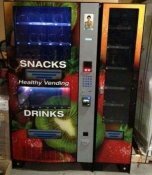 Seaga Snack Mart / Office Deli Combo Vending Machine for Sale in New York! 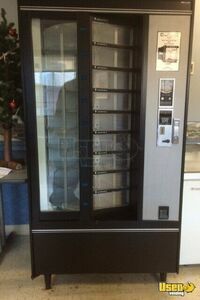 This is a very lightly used 2008 Seaga Office Deli combos snack, soda & entree vending machine. Very good condition, just needs a dusting. Royal Vendors Soda & Snack Vending Machines for Sale in New York! 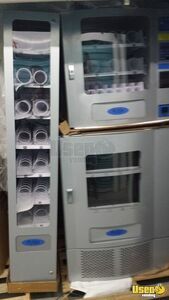 For sale in New York- here are (3) full size older but working electrical vending machines by Royal Vendors. 2 soda, 1 snack. Good condition. Snack & Soda Vending Machines for Sale in New York- Big Name Brands! 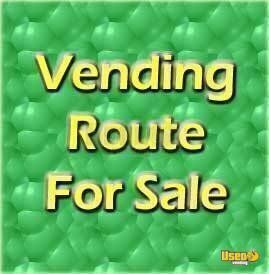 For sale in New York- this is a lot of (5) full line vending machines- 3 Beverage machines & 2 Snack machines. 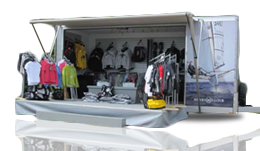 Brands are Crane National, Dixie-Narco, FSI/USI. Good to fair condition, see details. These machines were acquired in an estate sale and are being sold AS IS, as a lot. Orangfresh Electronic Fresh Orange Juice Vending Machines for Sale in New York! For sale in New York- (8) 2014 Orangfresh Orange Juice Vending Machine OR70 & OR130 - Brand new! See details for specs. 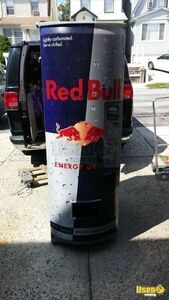 Refrigerated Carousel Cold Food Vending Machine for Sale in New York!!! 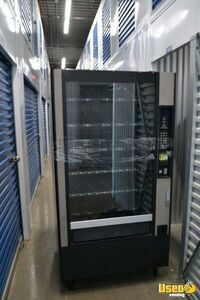 For sale in New York- here is a Betson Refrigerated Carousel 431 vending machine for cold foods such as sandwiches. 40 selections. 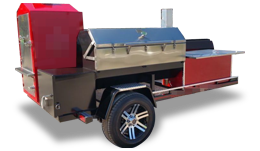 Purchased March 2014, completely refurbished, excellent condition and works perfectly. 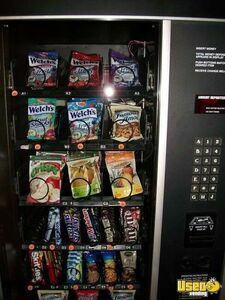 Office Deli Combo Vending Machines for Sale in New York- NEW in Boxes!!! 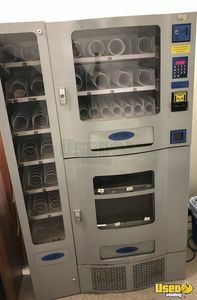 For sale in New York- here are (2) 2009 Antares Office Deli Electronic snack, soda & entree vending machines. Machines have 36 selections and have never been used- still in boxes. 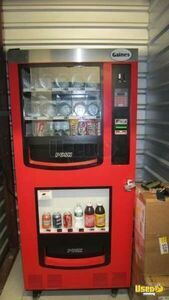 Lu Wegner Wittern Satellite Snack Soda Combo Vending Machine for Sale New York! 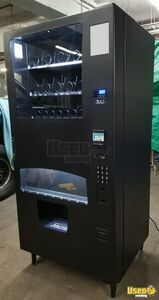 For sale in New York- this is a Wittern / Federal / USI / FSI snack & drink combo vending machine, models 3039 and 3038. It is a satellite combo with 25 snack & 6 drink selections. Good condition. 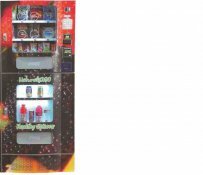 USI Selectivend Used Snack & Soda Combo Vending Machine for Sale in New York! 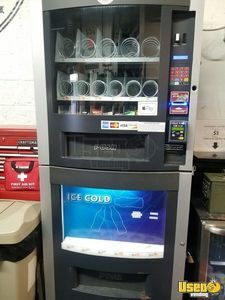 For sale in New York- this is a 2001 GF24 USI / Selectivend combination snack & soda vending machine. It is in good condition. See details for specs. 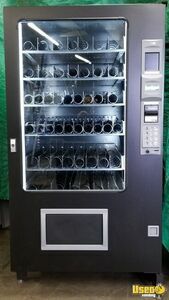 Used Electronic Glass Front AMS Vending Machine!!! 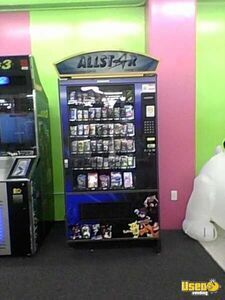 This AMS glassfront electronic vending machine is currently set up for vending sports and novelty trading cards. It has MARS dollar bill acceptors & MARS coin mechs. It has 55 selections. Seller is original owner; machine is in very good condition. 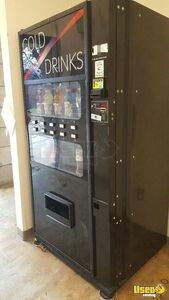 (6) - 2007 SEAGA HF3500 Electronic Snack & Soda Vending Machines- NEW! 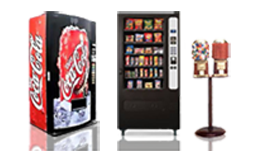 The Seaga Elite Automatic HF3500 vending machines feature 20 snack & 5 beverage selections. These machines have never been used. Could not have found a better deal and all items working perfectly. Denise was excellent, helped me out all the way through deal. Could not have found a better deal and all items working perfectly. Seller very friendly and helpful. I wish my experience with every company and person I deal with was like this. I feel I had the best saleswoman ever. I feel I had the best saleswoman ever. She was extremely helpful and very polite also . Her name was Denise and she had the utmost best southern charm I’ve ever come across anyone from the south and would gladly do business with her again . Denise I hope you get to read this and I cannot thank you enough for all of your help and always being there for me . Thanks so very much again. I would recommend using them for exceptional service. 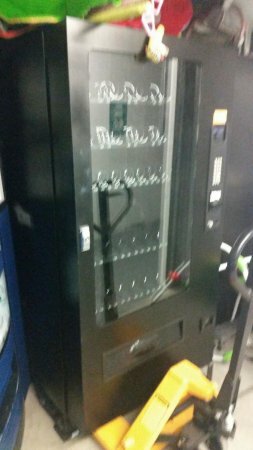 I want to say Thanks and show my appreciation to Grey and the Used Vending Team for the sale of my Vending machines. When an opportunity came up to complete a transaction between buyer and seller it was done efficiently. I would recommend using them for exceptional service. I was able to get a great deal on machines! Great experience! Buying from Used Vending was fast and easy. Everyone was very professional and I was able to get a great deal on machines! Great experience! I would like to thank you for your special attention towards my needs to get my vending business start. Your quick responses to help out has been comforting while I am trying to start a new venture. Thanks so much. All I had to do was tell her what I was looking for, where I was willing to go to get it and she did all the leg work. It was a pleasure working with Melissa Powers with Used Vending. All I had to do was contact her and tell her what I was looking for and where I was willing to go to get it and she did all the leg work. She immediately got back to me with information. With her help and knowledge the transaction was a breeze. I highly recommend Used Vending and Melissa, they are professionals at what they do and seem to enjoy doing it. Gini Sweet is the best! She has always been there for me to help me seal the deal. Im glad that she is working there, to help people like me who are expanding their business. She gets an a++++++++++++ ! thank you Gini - I look forward in continuing to grow my business with you. I'm so grateful to have you. Calice, All i have to say is just look at all the other testmonials... No words!! was a pleasure you took care of the hard part and left me with money... Thanks again!! Stacy was very helpful and went out of his way to help us. Great service, big thumbs up. UsedVending.com, especially dealing with Melissa, gave us a great selling experience to move our vending machines. This company was efficient, professional & caring- matching & selecting with seller & buyers to complete a smooth & pleasurable transaction. I would recommend use of their services anytime. He's a real stand up guy. Stacy Sweet is the man! He's a real stand up guy. He helped me to get the right location to increase my profits. He was always open and honest with me and provided me with valuable info that lead me to secure my location. 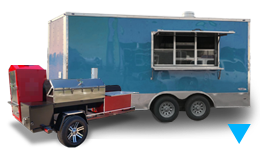 I can't wait to secure my next location via 4 mega vending and honest hard working people like Mr Stacy Sweet! Please keep the leads coming thanks for everything. IT HAS BEEN REALLY NICE (AND EASY) TO DEAL WITH YOU. I COULD NOT FIND THE PART I NEEDED ANYPLACE I LOOKED BUT YOU CAME WITH IT QUICKLY. EVEN THOUGH I WAS ORDERING A SINGLE SMALL PART YOU MADE ME FEEL LIKE A BIG CUSTOMER(MAYBE SOMEDAY). April Hurd is a wonderful person to work with. She is very professional and patient. I had a great experience purchasing vender machine. I am sure I will come back again for more products in the future. Thanks, April. 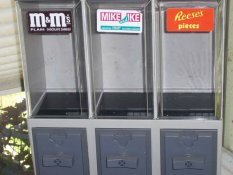 I have just recently involved in doing business with usedvending.com. I must say, my experience so far has been the best I've ever had since doing business. Melissa has been great. Melissa made the transition to buying and acquiring my vending machines with location smooth and timely. She answered every questions with specific details. Melissa addressed my concerns with care and understanding. I felt like I was speaking to a friend rather than to someone I am trying to do business with. This is how comfortable and at ease Melissa made me feel. 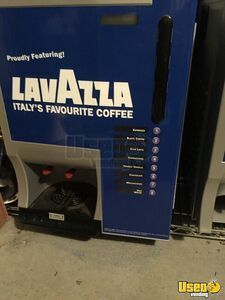 When I am in need of another machine, ( USEDvending .com ) will be my first stop. 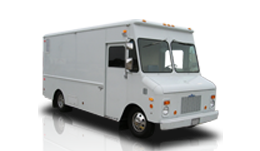 Melanie Lee was very helpful in assisting me to obtain the vending company that was right for our company. Thank you Melanie for all of your help! 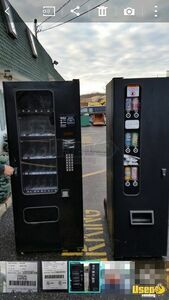 Dear UsedVending.com, Thank you so much for selling my machines at the price asked for. It made it so enjoyable to deal with April & Melissa who were very professional and a delight to deal with. I wish there were more people out there just like them.